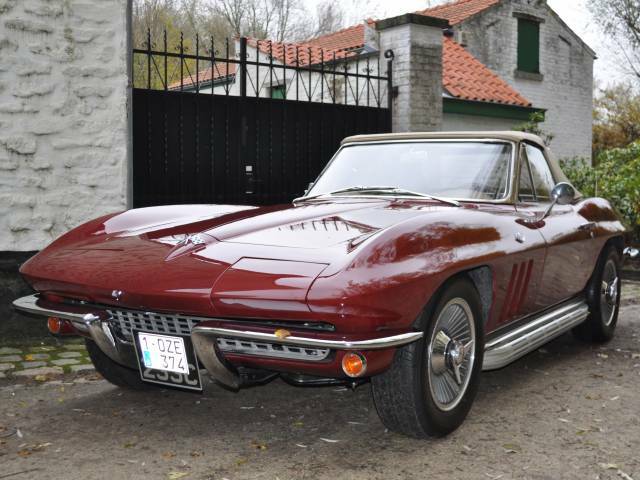 This 1965 Corvette C2 cabriolet is in good condition and well optioned. The extra-cost options fitted are alloy wheels with spinners, exposed side exit exhaust system, leather upholstery, wood rimmed steering wheel and radio with antenna. 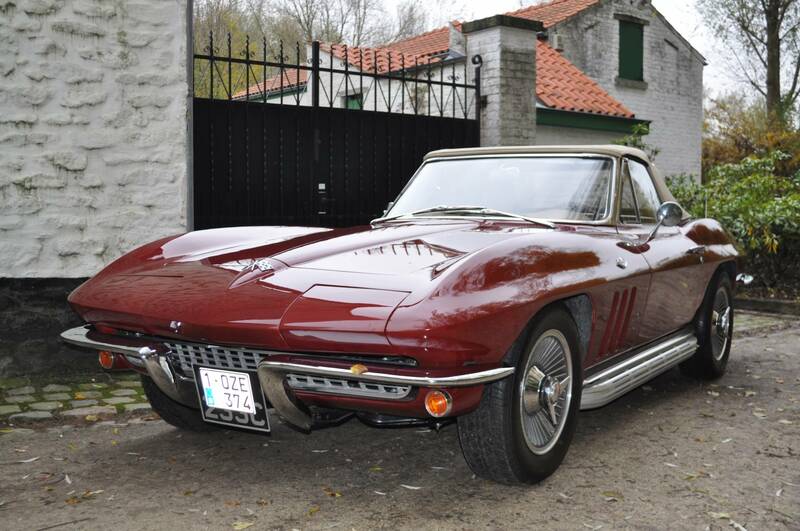 The engine is a 327cu Chevrolet small block V8 with carburettor and the gearbox is a 4 speed all-synchro manual. Disc brakes all round came as standard in 1965.